Over the years, like most technology professionals, I've used a lot of Microsoft products, including every version of the core Windows operating system. With Windows 10 on the horizon, and a new build (possibly the Consumer Preview) to be shown off later this month by Microsoft, I was inspired to write down a couple of thoughts about the last two iterations of the OS and what they taught us and Microsoft about the future of enterprise computing. Windows 7 was, in my mind, the last complete version of 'traditional' Windows. Adoption was very strong and end users in general liked it a lot. But Windows 7 had the same two core architectural issues that birthed an entire generation of security problems: an unprotected file system and an unprotected kernel. This made apps a complicated undertaking to develop and manage. Any app developed by one user had the potential to damage data in apps written by others. To make it worse, apps could go on to unpredictably tamper with various OS processes in different ways, creating a range of security headaches. The installation and uninstallation of these Win32 apps impacted the stability and predictability of the system, and "DLL hell" continued to be a regular part of any Windows system administrator's lexicon. Such architectural issues created the need, long ago, for restrictive security solutions which tried to counter potential threats through the enforcement of a Windows system image and by deploying agent-after-agent of security software on the device. These solutions led to battery drain and performance slowdown which compromised the user experience. Users didn't love this outcome but had learned to live with it through the history of Windows. Was Windows 7 better than its predecessors? Absolutely. But it still shared their genetic flaws. Unlike Windows 7, Windows 8 suffered from low adoption rates. There was confusion in the market around the different flavours and new interface. Plus many organisations had only just completed the Windows 7 transition and did not have a catalyst to move to Windows 8. Windows 8 did, however, reflect the overall shift to mobility among business users. It hinted at, but was not yet ready to deliver, integration across Windows Phone, RT, and Pro. 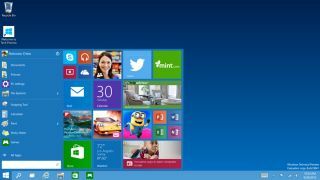 The launch of Windows 8 did, however, mark the start of the next generation for Windows, and it established a framework for Windows 10. Windows 8 marked the first time that the architecture promoted the development of 'modern' sandboxed apps with isolated storage and memory. It was the beginning of the end for Win32 apps because it promised a world where the OS itself would be much more secure, and the capabilities of apps much greater. All companies have rough patches. The key is learning from them, as Microsoft did with Windows 8. Windows 8 was the step that needed to happen to get us to Windows 10. I have high hopes for Windows 10. With its sandboxed security model, Windows 10 can dramatically reduce the management and helpdesk costs of Windows. I hope Microsoft simplifies the Windows portfolio and unifies Windows Phone, RT, and Pro under one framework, offering a powerful unified computing experience to the end user. Windows still has the hearts and minds of IT, but Windows 10 now offers a great opportunity for Microsoft to recapture the heart of the end user. My central hope for Windows 10, however, revolves around the application developer. Microsoft could make this the release where we can finally do away with Win32 apps. Developers need great tools to build modern Windows apps with rich user experiences. The easier Microsoft makes it to migrate from Win32 apps, the faster Windows can stake its claim in the new generation of user-centric computing. Windows 10 will establish modern apps as the primary application method on Windows. It represents the shift of Windows to a consistent, sandboxed architecture across form factors. With Windows 10 as the catalyst, now is the time for every organisation to get serious about apps modernisation.